Electronista: “Lenovo gave its ThinkPad X series a major refresh on Tuesday with a generational leap. The X220 notebook and X220t tablet both use a newer 12.5-inch, IPS-based rich color display but thrive with a new external ThinkPad battery pack. They can last up to nine and eight hours respectively on extended internal batteries, but the battery pack pushes them up to 15 hours on the X220t and a full 24 hours on the X220. I purchased a Lenovo X201 tablet back in November 2010. It’s a fantastic machine and I haven’t regretted the purchase for a moment. I consistently get about six hours of battery life out of the extended battery pack. 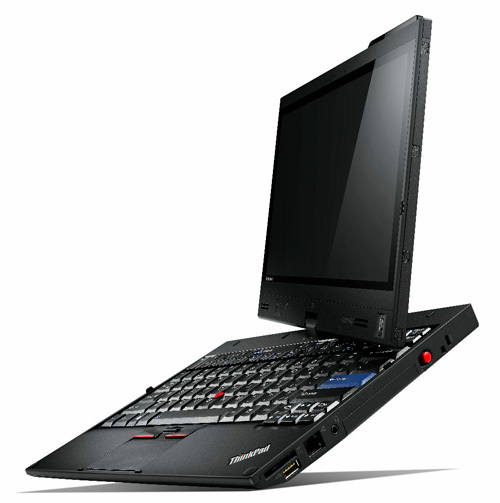 The idea of getting more than double that with the new X220t is mind boggling. Throw in an extra 0.4-inches of brighter touchscreen and the strength of Gorilla Glass and I think Lenovo has another winner on its hand.